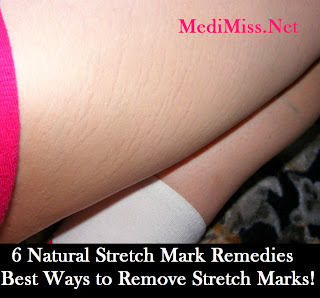 MediMiss Home Remedies Natural Remedies natural stretch mark remedies Remedies Skin Care stretch mark remedies Stretch Marks ways to remove stretch marks 6 Natural Stretch Mark Remedies - Best Ways to Remove Stretch Marks! 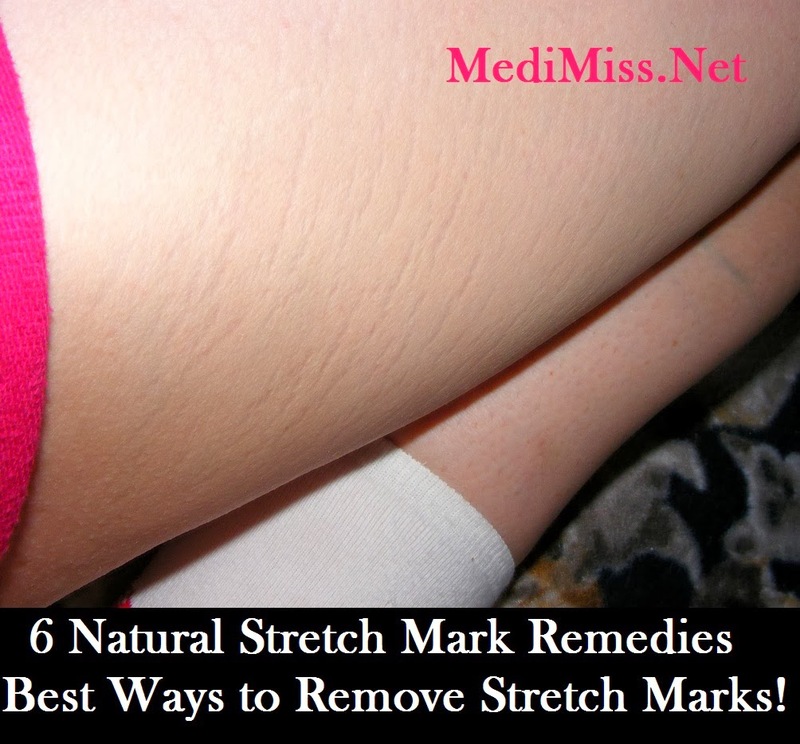 6 Natural Stretch Mark Remedies - Best Ways to Remove Stretch Marks! When people gain a lot of weight quickly they often find that stretch marks can develop on their body. These are linear scars that are caused by tearing in the top three layers of the skin when it stretches too quickly. This often happens to pregnant women, pubescent teenagers in a growth spurt and body builders attempting to bulk up. They are dark red or purple at first but rapidly fade to a white or silver color. They are easier to treat and get rid of when they first appear and before they start to lose color. There are numerous natural stretch mark remedies that can be used to holistically treat the scars -- and 6 such remedies have been listed below! When talking about natural stretch mark remedies it is necessary to discuss all of the holistic creams and lotions that can be used to prevent scarring from happening and aid in treating stretch marks that already exist. Anti stretch mark creams can work in several different ways. They can help to lubricate the skin so that it stays supple and flexible and is less likely to develop scars. Some creams act as an exfoliate and help to remove scar tissue that has built up in stretch marks. Other creams include natural proteins that help to repair the skin and make it more resistant to damage. The best creams are those that have all of these characteristics. A well known cream for preventing and treating these scars is cocoa butter but there are many other useful natural creams and lotions. Some of these are emu oil, mink oil, jojoba oil, collagen, elastin, aloe vera, lavender oil and liquid vitamin E.
As was discussed earlier, these unsightly scars are caused by a rapid weight gain and over stretching of the skin. One way to remove them effectively is to lose weight so that the body and skin return to their original size. This is most effective for women that have been pregnant and have already delivered their babies. Healthy skin is usually the result of a healthy body so eating a nutritious diet is a natural form of stretch mark reduction. In order for the skin to stay flexible and supple it needs a wide variety of vitamins, nutrients and minerals. Good foods for the skin that contain fatty acids and antioxidants are fresh fruits and vegetables, fish from cold waters and products made with whole grains. To ensure that the body and the skin are getting all of the nutrients, minerals and vitamins that they need it is a good idea to take a supplement every day. Some of the more important nutrients the skin needs are vitamins A, C, E and K as well as the mineral zinc. Add a daily dose of these to your regular meals to give your give the boost it needs to fend off stretch marks. Exercise can be beneficial to minimizing and removing these bothersome scars, particularly exercises that emphasize stretching. These types of exercise can help to break down the scar tissue, which is what stretch marks are made of.